On this date in 1860, a kid from Tennessee who had made himself President of Nicaragua got his grateful subjects’ comeuppance in the form of a fusillade. It was westward the wagons that first bestirred the pioneering blood of William Walker, a scion of privilege with an Ivy League medical degree, who uprooted for San Francisco in 1849. But the “grey-eyed man of destiny” had an altogether grander gold rush in mind, as he stared pensively into the middle distance. The air was fervid with Manifest Destiny, and most Americans reckoned that the entire hemisphere was its rightful Manifestation. In a time when private settlers effected the statecraft of conquering the Great Plains, was it really any crazier for Walker to fancy privately conquering some distracted European power’s American colonies? Oh, and “what have you”? That means slavery. Nicely dovetailing the individual spur to derring-do, the South’s structural impulsion to expand slaveholding territories to maintain political parity encouraged — and often bankrolled — filibuster adventuring. It is to these unwholesome fellows that the United States likely owes its sovereignty over Texas, which was pelted with Anglo filibustering expeditions in the early 19th century, helping set the table for the revolution that severed the Lone Star state from Mexico; arguably, the Texas Revolution itself was a (fantastically successful) filibuster. So Walker had the glittering destinies manifest before his grey eyes when he put off the white collar career to play soldier. After an abortive 1853 attempt to set up his own country in Mexico’s Baja California — a jury instantly acquitted him of waging war on a neutral power; filibustering, and damn near anything that promised America more Manifestly Destined land, was as popular as it was illegal — Walker moved on war-torn Nicaragua under the guise of a “colony”. With a few hundred men, he was able to conquer the capital and set himself up as head of state. Who knows whether he could have had a future if he’d done it differently. In the actual fact, he wasn’t as hot an administrator as his ego might then have been telling him. He revoked Nicaragua’s anti-slavery edicts, of course; though this sparked resistance, more damaging may have been revoking a Vanderbilt trade concession and bringing a tycoon into the private warfare game on the opposite team. 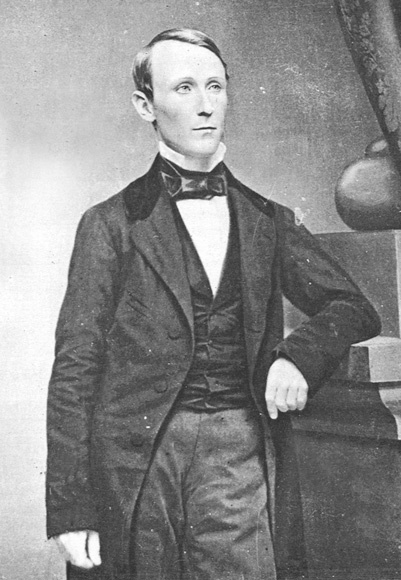 Cornelius Vanderbilt-backed opponents drove Walker out of Nicaragua in 1857. Not knowing when he was beat, the ex-Presidente kept knocking around stateside piecing together several expeditions, each sadder than the last … until in 1860, when a landing at Honduras collapsed, and he surrendered himself to a British (rather than American) officer. Europeans with colonies to exploit didn’t have much use for filibustering, and Walker had made everyone nervous by openly aspiring to conquer Nicaragua’s neighbors — including British assets. Rather than return him home where he could continue scheming to meddle in the future canal zone, the Brits handed him over to the Hondurans, who stood him in a court-martial, then stood him up against a wall. And for a corner of Americana little-known to most in the U.S. — well, the colorful, nigh-unbelievable quality of the action has overridden its obscurity when it comes to the written word. * More familiar for most Americans is “filibuster” as a legislative maneuver — refusing to yield the floor during debate to forestall the passage of a bill. Not surprisingly, this usage came online at the same time mercenary filibusters were active, and proceeds from the word’s original sense of “piracy”.